Manual parking is a thing of the past. The advanced technology in this modern digital age can now do lots of the things that previously only humans can do. One of these things is automated valet parking. If you are a business owner, adopting an automated valet parking technology can be your edge over your competitors. Here’s why. Looking for a parking spot is a tedious task for most car drivers. Your clients could get in a sour mood before they even reach your office. Automated valet parking will do the work to prevent shortening of their tempers. They won’t have to navigate the parking space for an empty slot. It can also maximize your parking space. Every inch of your parking facility is put to good use because the vehicles are parked in a very organized manner. The cars are adequately spaced from each other, therefore preventing bumps and scratches that may require paint jobs and other costly repairs. Automated valet parking provides a higher level of security than human valets alone. It can give your clients a sense of safety when it comes to their vehicle and belongings. No other person will hold the keys of the car except for the owner. The car will remain locked at all times, so there’s no risk of losing personal belongings. The app that comes with this technology provides real-time information about the status of your customers’ cars. It can show the empty slots in a parking space or where your customer’s vehicles are parked. They can use it to summon their car when they are ready to leave. The smartphone app can track everything. In business transactions, customers usually take the less risky option. So, if you can provide that kind of sense of security and comfort even in providing parking space for them, then they are more likely to do business with you than with other companies. Because machines and robotics control your parking facility, there's no need to hire more people to do the job. Regular parking spaces need to have proper lighting so that the drivers can see through the maze of parked cars. You also need to provide an appropriate ventilation system to provide comfort when your clients are out looking for their vehicles. If you use an automated valet parking, you won’t need to pay extra for lighting and ventilation. The car owners won’t need those to locate their cars because the automated valet will park and retrieve their cars over to them. It is common for people to make mistakes while parking because people aren’t as calculated as an automated parking facility is and do not have algorithms programmed into their minds as. Smart parking systems lessen parking mistakes, therefore reducing the accidents and damages that can happen within your parking area. You can use the money you saved with an automated valet parking for other things you can improve on for your business. You could maybe invest it in fixing up the waiting area for your customers. You could add in an entertainment unit so your clients don’t get bored or leave your office before they talk to your employees. All these extra amenities can attract customers to your business. In business, first impressions matter. You can impress your clients immediately as they pull up to your office when they see that you have an automated valet parking. Having such modern technology will make them think that you provide only the best for your clients. It will also make them think that you’re in the know with the latest technology. It shows that because you can install such high-end facilities, your business must be doing very well. If you can reel them in at the first chance you get, you have a higher chance of keeping them as a client. They won’t go to other companies because they have built their trust in you. Automated valet parking helps you in getting more clients each day. The technology makes parking more efficient. It takes less time for your clients to park their cars, which means they get to reach your office and do your business much faster. The time spent trying to find a parking spot is significantly reduced, which means more clients can come through, too. Space maximization also allows more clients to get parking spaces. The more parking space you have, the more clients you can accommodate. The continuous flow of clients as a result of the efficiency of your parking space means more return on investments. Your clients have other commitments aside from doing business with you. They will take the one easier to reach and who takes up less of their time. If your parking space is efficient, they will take that road to your office. Automatic parking systems usually come with apps for data tracking. It makes it easier for your clients to get a parking space. Your clients don’t have to exert much effort to provide safety and security for their vehicles. Once they’re ready to leave, they can have their cars delivered at the designated area for easy pickup. Such ease in car parking can put your clients in a good mood. Happy clients are good for your business. It could lessen the chances of you dealing with irritable and impatient clients. It could also result in retaining them as clients. Your clients are less likely to jump ship if you can provide them with modern technology that makes things easier for them. The world is changing, and it will continue to do so. 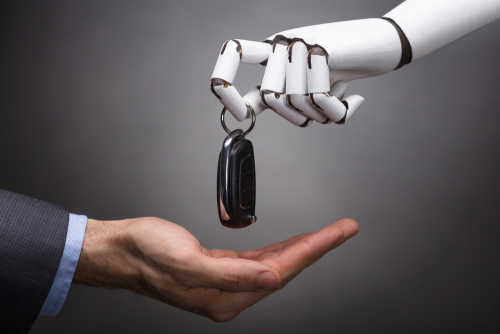 Innovations in technology such as an automated parking system make the world a more comfortable place to live in because it lessens the work to be done, costs, and accidents. 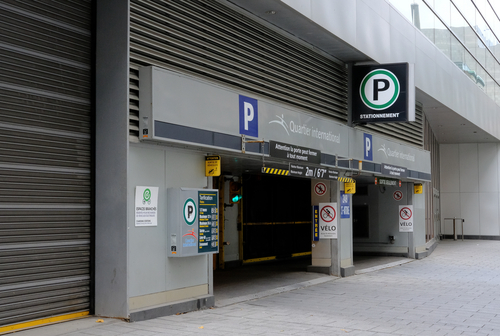 Make your customers’ lives easier and more comfortable by installing an automated parking facility, and your business will surely stand out from the rest!